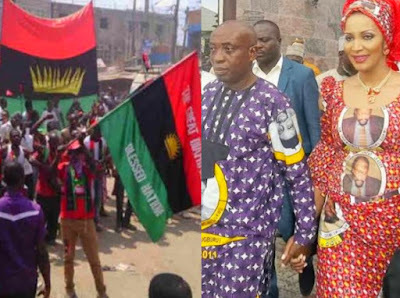 Following the denial of the Anambra South senatorial ticket to Dim Chukwuemeka Odumegwu Ojukwu’s wife, Bianca by the All Progressive Grand Alliance (APGA); the Movement for the Actualization of Sovereign States of Biafra (MASSOB) has given a 7 day ultimatum to the leadership of the party to remove all images of the late Biafran leader from its billboards and other campaign materials or face its wrath. These are very confused and inconsistent group claiming to be fighting to restore Biafra yet can't make up their mind if they want Biafra or the evil! 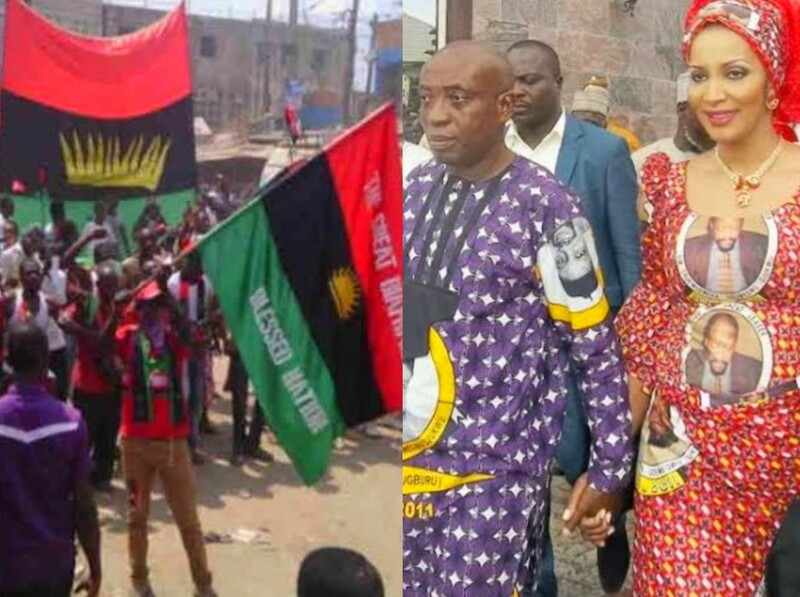 How can they claim to be fighting for Biafra and wife of Ojukwu who by the way died and was buried as a Nigerian instead of Biafran and the wife that has been serving the same evil Nigeria that took the lives of over 5,5 Million Biafrans, yet they still want to be respected by Biafrans!